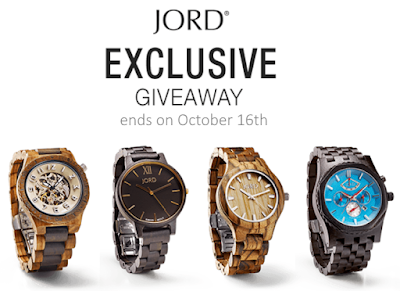 JORD Wood Watches Giveaway Reminder - Polish This! The winner of this giveaway will get $100 gift coupon to JORD online store. But that's not all, everyone else who participates in the giveaway will get $20 gift certificate. So everybody wins! If you haven't participated yet, hurry before it's too late as the giveaway is ending today! All you need to do is go to this giveaway entry form and give your name and email address and that's it. If you want to know more about these JORD watches, check out my post of the gorgeous JORD Cora Koa & Rose Gold if you haven't read it yet. I promise I'll have some nails for you guys in the next post, so see you then!